Steiff Rattle Ball, from the, Down By The Sea collection, is made of beautiful soft multicoloured plush for a baby's delicate skin. 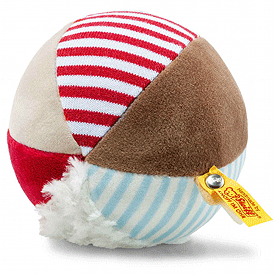 This addorable Rattle Ball, with it's various soft textures for baby to explore also has a Rattle sound within. Machine washable. CE marked. Size 12cm.